What’s taking so long (ION)? Lately in Finland there has been plenty of rainy days good for programming and certainly lots of progress has been made! Regardless of that, there’s not much to demonstrate yet. This is beacause major code refractoring is being done when writing the firmware to ION drive. Lots of original C languace code is being ported to C++11. Re-structuring of code is made such way that finally it should be much simpler to run multiple servo drive instances within one CPU. This means we could one day see a model that drives two or more motors on a single board. It’s not same as VSD-E’s DualDC mode with reduced capabilities – the new implementation should allow running multiple drive instances without any feature limitations. Just a quick update of ION servo drive development: all hardware peripherals are now programmed and functioning properly and all hardware “typos” are corrected in the schematics & PCB layout. This is important milestone as now we can preparing the first production batch of hardware even when firmware is not fully complete. Firmware development will continue on prototype while we wait hardware from fabrication. ION with 84 pin card edge connector (now 64 pin) and larger power stage. 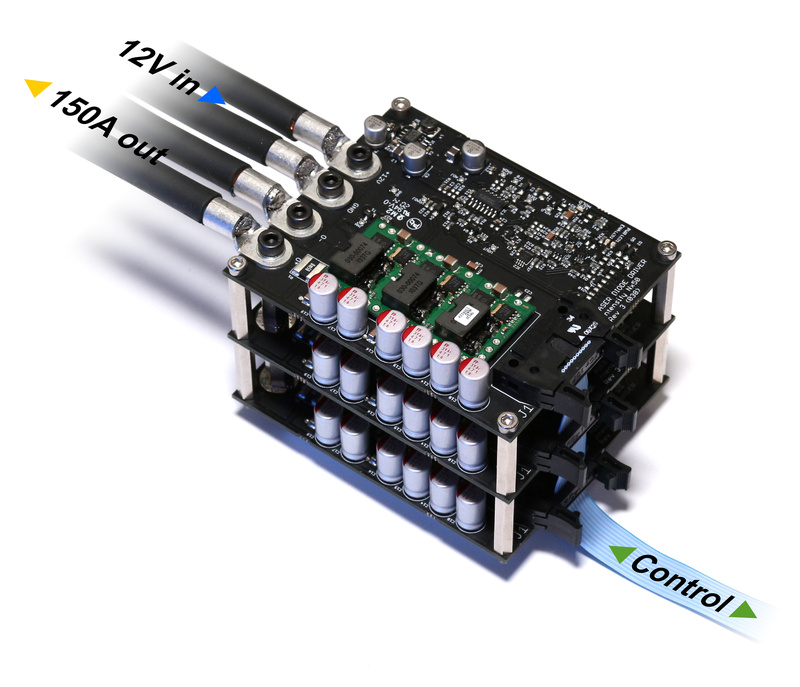 This can yield approx 10 A 90 VDC capability (limited by card edge connector). Add external power connector to ION. 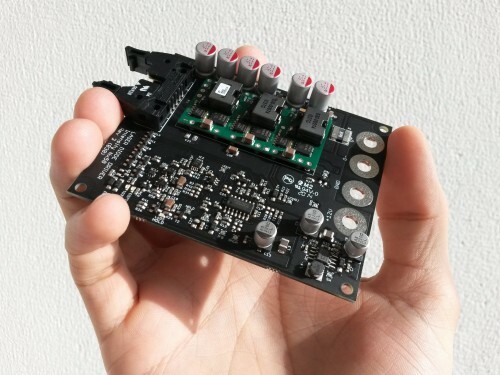 This eliminates card edge connector current & voltage but might would look weird and impractical. Also fitting large power stage on the board could be difficult. Get rid of card edge connector and replace all with wire terminals. This would easily give highest voltage & current rating but would not get benefit of ION motherboards, so wiring work would increase significantly. This option would look like updated VSD-E.
Something completely different – Laser diode driver! Along motor controllers, we have been designing a laser diode driver. Laser diode driver, or LDD, is basically a current regulator that is used to drive constant or pulsed current to a semiconductor diode that emits laser light. Intensify Nx50 laser diode driver delivers continuous current of 50 A at exceptional 95% efficiency. The story behind this is the fact that I have been working close to laser diode industry where I get understanding of how laser diodes are utilized and controlled, as well as expertise of precision current control from motor drives. Combining these two makes it almost trivial to make a new kind of LDD that has never seen before. Three Nx50’s stacked forming a 0 – 150 A driver. The product is now finished and it’s called Intensify Nx50. It has unique ability to be stacked to increase output rating. Single board outputs current between 0 – 50 A and voltage between 0.8 – 5.0 V. Two of them output 0 – 100 A / 0.8 – 5.0 V and three 0 -150 / A 0.8 – 5.0 V etc.